Celery is one of the main ingredients used to form the flavor base of many dishes. It can also add a healthy crunch to salads and snacks, or stand alone as a braised side dish. Regardless of how you use it, celery is a common ingredient in thousands of savory recipes. Rediscover this amazing vegetable and all the dishes you can create with it. 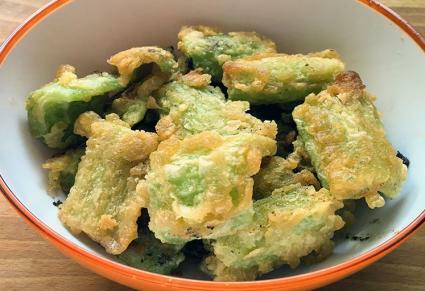 Frying really brings out the flavor of this celery dish. Try it as a side with roast beef or chicken. Add 1 tablespoon of salt to 4 quarts of water and bring to a boil. 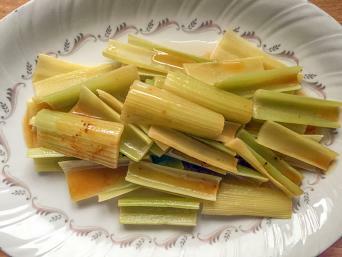 While the water is heating, slice the stalks into bite-size pieces. When the water boils, add the celery pieces and cook until just tender, about 6 minutes. Remove the pieces from the pot and drain them on paper towels to absorb the excess liquid. While the celery is draining, pour the olive oil in a frying pan and heat it until it's very hot. Pour the flour in a large bowl and dredge the celery in it. Dip the celery pieces in the egg and then drop them in the hot oil. Cook the celery until it's golden brown. Remove the pieces from the frying pain, and drain them again on paper towels to absorb the excess oil. Sprinkle the celery with salt, pepper or your favorite seasoning, and serve the dish hot. Celery hearts are the tender white stalks from the center of the bunch, and they deliver a lovely flavor when braised in broth. 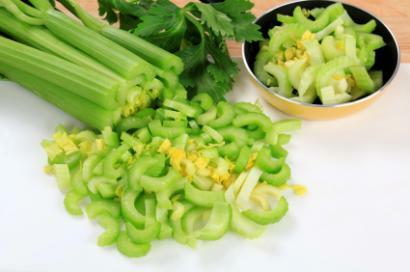 Wash the celery and cut it into 3-inch long pieces. Lay the pieces in a large frying pan. Combine the rest of the ingredients in a bowl and then pour them on top of the celery. Bring the liquid to a boil and then cover the pan with a lid. 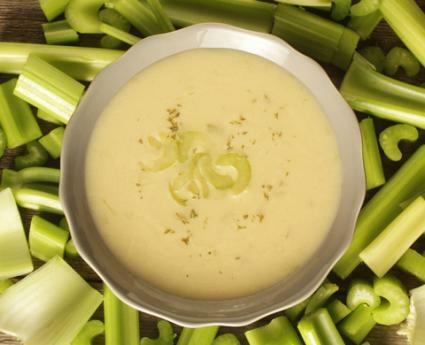 Reduce the heat and simmer for approximately 30 minutes or until the celery is tender. Remove the celery from the liquid to a warm platter. Boil the remaining liquid in the pan until it reduces to about 1/2 cup. Pour the liquid over the celery hearts and serve. Parboil celery in water ten minutes. Drain water and add stock. Cook until celery is soft and then rub through sieve. Scald onion in milk and then remove it. Add milk to stock, blend, add cream, and season with salt and pepper. Celery is an extremely common ingredient in cooking, but even so, you should still take care to choose the freshest, best quality celery you can find. It is used in a variety of ways in recipes. Mirepoix is a dice of two parts onion to one parts each celery and carrots. It serves as a flavor base for many dishes including soups, stews, and braises. For even more flavor, allow the mirepoix to sweat in the pan and then begin to caramelize slightly before adding additional ingredients. Celery is used raw in salads and appetizers. With their half-cylinder shape, the stalks are easily filled with an interesting stuffing for finger food. Cream cheese, peanut butter and hummus are all suitable for filling a celery stalk. If calories are an issue, make a low-fat filling with non-fat yogurt, diced cucumber, and sesame seeds. 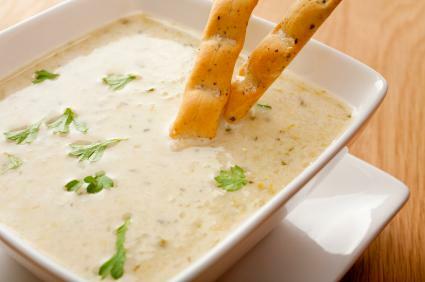 Celery is always great in soups, such as vegetable beef or chicken noodle soup. Of course, it's the main attraction in celery soup, creamed or clear, which can be made with beef, chicken, or turkey stocks. Celery seeds are a great spice to add to dishes. The seeds have a concentrated celery flavor that can jazz up rice pilaf or noodle dishes. You can find celery seed in the herb and spices rack at the grocery, either whole or ground. Celery is much more than a crunchy green vegetable. It plays a major role in adding flavor to the foods you eat, and it's a staple all cooks should keep on hand in their kitchens.